Who produces community news, and how do they describe what they do? What kinds of news do they produce? The UK community news sector is well-established, and dominated by players who have achieved a degree of longevity (nearly three quarters of our sample of 183 producers have been producing news for over three years, and nearly a third for more than five years). Almost half of our participants have journalistic training or experience working in the mainstream media. What kinds of news gets covered by hyperlocal publishers? The term “hyperlocal” should not be understood too literally – most sites cover geographical areas akin to small towns or city suburbs. What have we learned about community news audiences? More than two thirds of hyperlocal news producers have knowledge of basic audience stats for their sites such as monthly unique visitors and page impressions. Most hyperlocal news sites suffer from a lack of visibility in their own communities, with only very few reaching a high percentage of their potential local audiences. There is a small group of high-performing community news sites reaching significant audiences of between 10,000 and 100,000 monthly “uniques”, but most reach quite modest audiences (the median number of monthly unique visitors is 5039). 91 per cent of producers use Twitter and 79 per cent use Facebook for their community news activities. Despite the visibility problem, large majorities of hyperlocal news producers continue to see audience growth on their own websites, as well as on key social media platforms. Most community news producers work part-time on their sites (57 per cent work up to ten hours a week and 26 per cent work between 11 and 30 hours). But a minority work full-time, with 11 per cent putting in more than 40 hours a week. Many community news operations are participatory and collaborative, efforts. 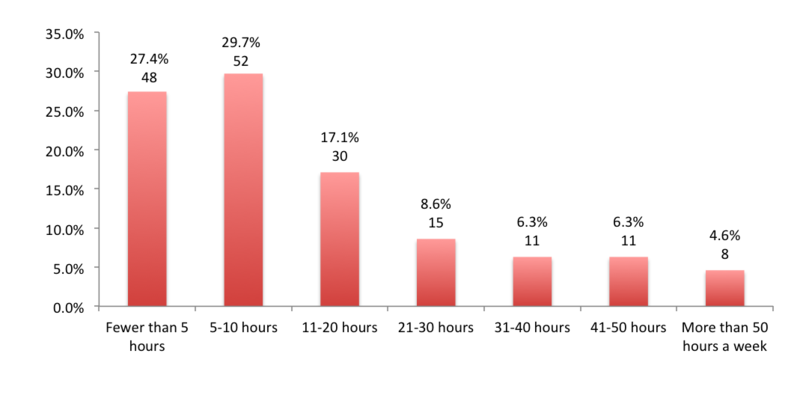 Factoring in the work done by other team members, just over four sites in ten (43 per cent) are the product of relatively few hours worked (ten hours or less per week). The rest are more time-consuming, with a third demanding 21-50 working hours, and a quarter more than 50. 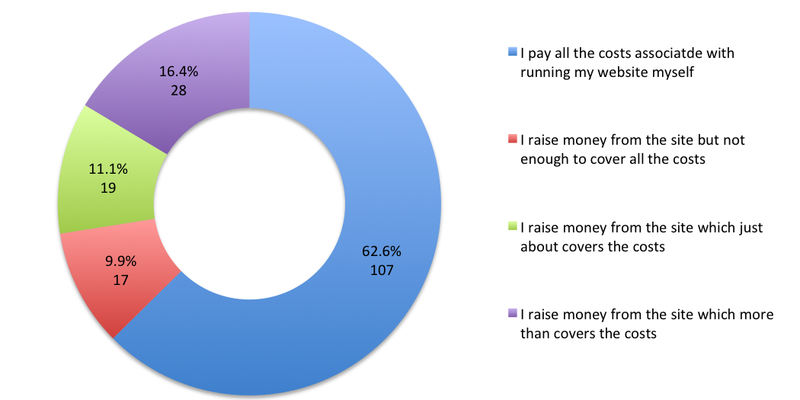 Most community news producers fund the running costs of their sites from their own pockets, but around one in four raise enough money to cover their costs. Advertising is the dominant form of income generation, but a number of other methods are employed such as eliciting sponsored features or getting grant funding. Around a third of our participants make money, mostly quite modest amounts: 12 per cent say they make less than £100 per month, for instance, but 13 per cent say they generate more than £500 per month. Despite the low proportion of economically successful community news producers, nine out of ten still believe they can sustain, or increase, current levels of output in the coming year. Most producers are not motivated by economic gain, but the overall lack of revenues being generated could threaten the longer term sustainability of hyperlocal publishing. What does the future hold for UK community news? 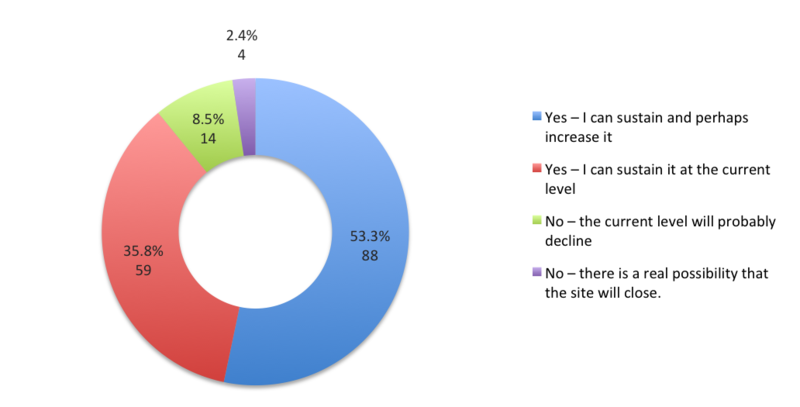 Eight out of ten respondents have ambitions to expand their sites. Many would like to post more frequently, use more multimedia content, and elicit more material from their audiences. Most commonly cited areas for expansion were local information and coverage of community groups and events. Without restrictions on time or money, the main targets for site improvement were: technical website issues; engaging with audiences more on social media; selling ads and generating revenue; cultivating a larger community of active contributors. 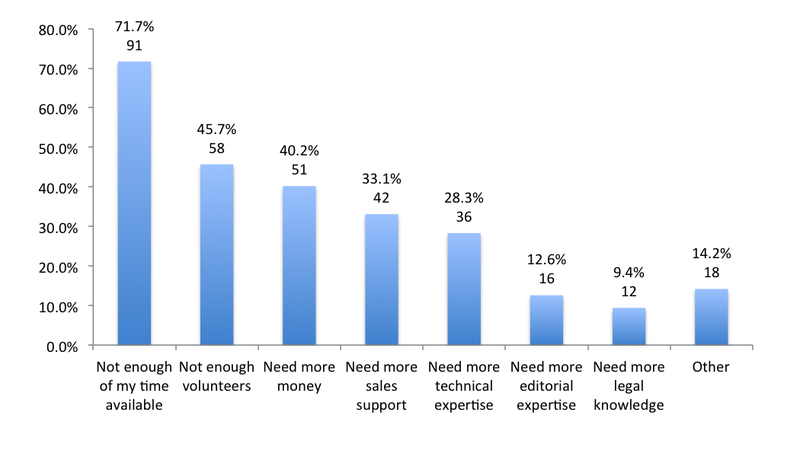 Most community journalists feel very time poor, with nearly three quarters citing lack of time as a bar to future expansion. Six out of ten say they would like help with generating revenues to fund their own time, and with marketing and promoting their site to drive audiences up. Half would like help with selling advertising. What democratic roles do online hyperlocal sites actually play, if any? How successful and sustainable are these sites in practice? Our questionnaire aimed to operationalise these questions in a manner which could be easily understood and answered by those who run these sites. We therefore achieved a response rate of over one third of the original target population of 500 (based on Harte’s figure of 496 active sites), making this the most extensive survey of hyperlocal media in the UK to date. While the total population of local sites and platforms is likely to be larger, no alternative reliable central source exists. Although we are confident that our final sample is reasonably representative of the hyperlocal universe, it is not possible to quantify either any bias resulting from not being able to reach unlisted sites, nor any non-response bias. By targeting such a wide sample we hoped to address the problem of self-selection and sample bias, when surveys are solely advertised through the authors’ own social media networks. Even with email targeting, this factor should be taken into consideration. Additionally, we were alert to the problems that arise with self-reporting, when the data is based on respondents’ own interpretations. In some instances it was possible to verify the information given (some respondents helpfully provided hyperlinks to actual examples of content); in others we relied on their personal accounts. While there is likely to be some empirical inaccuracy (eg. on the monthly traffic estimates), the healthy response rate and the partial verification exercise helped address this issue. Our online questionnaire sought information about funding, operational problems, sustainability, and publishers’ self-perceptions about their activity and motivations. It was split into sections which covered the running of the site; site reach; site content (split into categories of information, campaigns and investigations); and site sustainability and resources. Our final sample size was 183 publishers of hyperlocal sites and services in the UK, surveyed online from 5 December 2013 – 24 February 2014. For simplicity, the questions and the results refer to “sites” although some respondents publish on other types of platforms such as Facebook pages, rather than a standalone website. 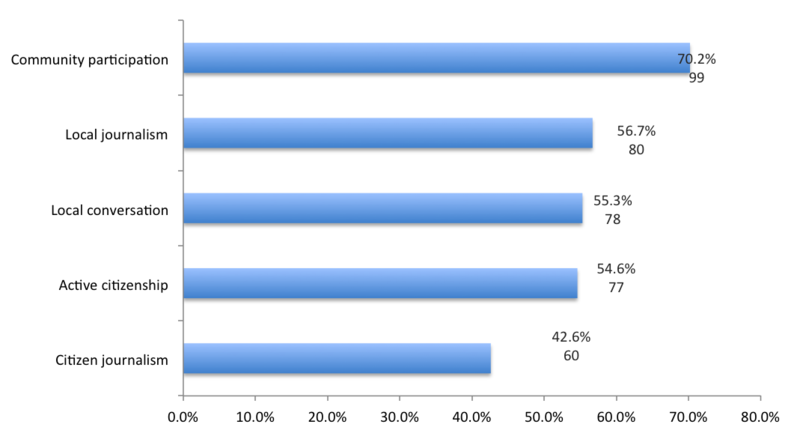 Where percentages total more than 100, respondents were given the opportunity to select more than one option. Not all questions were compulsory or relevant, so the number of respondents (n) to a question is noted after each set of answers. The hyperlocal term, which originates from the US, describes online local news and information services, normally independent from large media owners. William Perrin, founder of Talk About Local 4 describes it as a metonym rather than a literal label (akin to using “the press” as a category of media) that can define sites and services covering any size of geographical area, both large and small. In the first extensive report on the hyperlocal sector in the UK, Radcliffe gave a more conservative definition, excluding cities or areas larger than towns: “Online news or content services pertaining to a town, village, single postcode or other small, geographically defined community” (2012, p. 6). Radcliffe does, however, acknowledge that “audience perceptions of what constitutes “local” vary considerably”; the same could be said for “community”. A further complication is that producers of some sites and services that appear to fall under the hyperlocal umbrella dislike the term, and would not necessarily promote themselves as such. Nonetheless hyperlocal has emerged in the last few years as a dominant and widely recognised term to describe local and community online media, to the extent that it is specifically mentioned in the recent DCMS consultation document on media plurality. Moreover, the Technology Strategy Board, working with NESTA, is planning to invest up to £2.5m in projects that “demonstrate the potential of hyperlocal media technologies to serve communities across the UK”. While problematic, we find it useful as a way of describing an emergent generation of a primarily digital community of local news producers. The form of content as well as the size of the area covered varies significantly from site to site: from online versions of parish newsletters to projects developed by professional journalists, such as the Guardian’s short-lived local sites in Cardiff, Edinburgh and Leeds. Hyperlocal initiatives are not necessarily based on a single website: they might be a Twitter account, a Facebook page or a discussion forum. They may not be designed as “journalism” or “news” and producers may not wish to be pigeon-holed as “citizen journalists” (see Radcliffe 2012, p. 12). Who produces UK hyperlocal community news and how do they describe what they do? Hyperlocal community news in the UK is produced by people from all kinds of backgrounds for all kinds of reasons. Many who run their own news sites have day jobs (or, indeed, no jobs) and want to give a little back to their communities by writing about what is going on around them; many are current or former professional journalists striking out on their own as local news entrepreneurs. Many of those who started out as active citizens blogging about their neighbourhood now want to turn their news sites into more professional entities. The sector is quite a fluid one, with some sites starting up and then closing in quick succession while others have now been operating successfully for several years. The low barrier to entry associated with setting up a free blog (it costs virtually nothing) means that people are frequently tempted to launch a site without realising how much labour is required to keep it going. That said, free blogging software such as Word Press and Blogger has been available for more than a decade now, and online community news services have been going in the UK for at least that long. For this reason, it was not surprising that nearly three quarters of our respondents had been publishing for more than three years (73 per cent) and around a third for more than five years (32 per cent). This apparent longevity of community news production bodes well for the sector. It is widely accepted that the local news industry in the UK is in a profound state of change and uncertainty. Among numerous other factors, new online and social media have been attracting advertising revenue away from mainstream local news – in particular, the classified advertising for jobs, homes, cars etc. At the same time, the creative destruction on traditional news outlets wrought by Web 2.0 services, such as blogging and social media, means that the moment of greatest financial risk for the industry coincides with the very moment that access to freely available online tools and relatively cheap technology (computer, camera phone etc.) encourages low-cost publishing. At a local level, the impact of these fundamental structural changes has been particularly brutal. The local and regional newspaper sector, which was already publishing to a diminishing (and ageing) audience, has made huge cutbacks to staffing levels over the last decade. While some local papers continue to provide excellent local journalism, the overall volume and quality of professionally-produced local news has undoubtedly suffered. Some long-standing newspapers have closed down entirely while others have become more centralised and cover local areas less extensively. Even at its most profitable in the mid- to late-twentieth century the local newspaper industry left many areas uncovered, a situation which has rapidly deteriorated over the last 10-15 years. For instance, between 2007 and the end of 2011 Press Gazette reported that 242 local newspapers closed in the UK. Q: How do you describe your hyperlocal activity? The new era of DIY publishing has motivated and enabled some to start their own community news outlets. 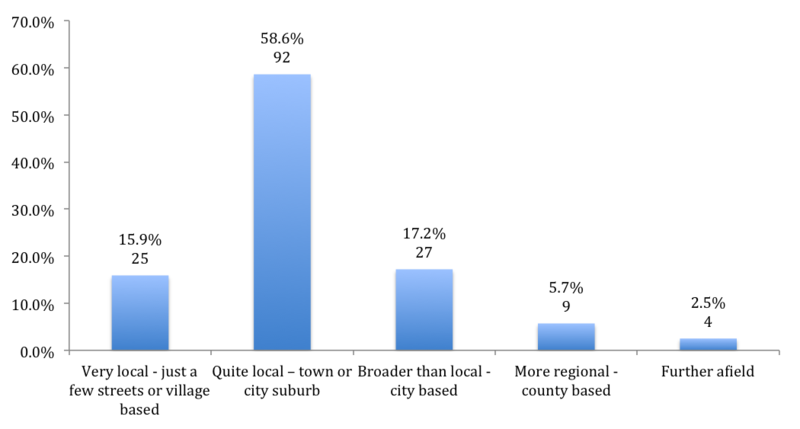 Many hyperlocal producers, however, do not identify as journalists (and many are critical of mainstream local news and have a very ambivalent relationship with it). Likewise, some mainstream professional journalists are often reluctant to accept that the work of bloggers should be called “journalistic” (or even that it can be called “news”). With these tensions in mind it is important to identify trends around how these community news producers self-identify, and how they describe their own work. Responses to our survey seem to reflect this ambivalence. More than two thirds of respondents (70 per cent) see what they do as participation in community life, while over half (57 per cent) identify it as local journalism. As our own data below demonstrated, much hyperlocal output does indeed cover the kinds of information, campaigning and watchdog activities that are regarded as journalistic norms. In a media market where traditional providers of local news are in retreat people are stepping in and self-consciously doing it for themselves. In one respect at least, however, these producers often differ from their professional counterparts: they rarely work at this full time. This is very different from mainstream newspaper companies which, though now severely depleted, run professional operations with full-time staff. As one respondent to our survey noted: “I’m a local journo… as and when I have time” – an important reminder that most community journalists cannot devote the same level of human resources to news production as their professional counterparts. Echoing trends in the news media towards interactive communications with audiences rather than traditional one-to-many writing or broadcasting, a similar proportion of respondents (55 per cent) see their practice as enabling interaction (“conversation”) between people at a local level. Just over half see working on their news services as an expression of “active citizenship”, and over 40 per cent self-identify as “citizen journalists”. 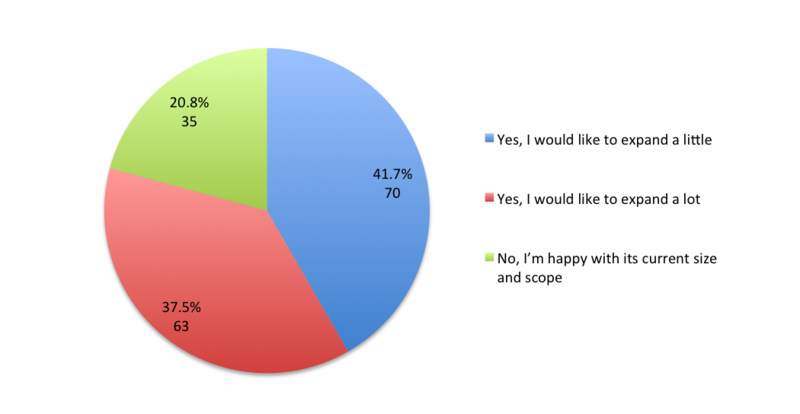 We also asked respondents whether they had any journalistic training or experience. Just over half said they had no background in news media or journalism, suggesting that community news producers are fairly evenly split between amateurs with no experience and professionals (or semi-professionals) with direct training or experience. Hyperlocal news is a badge which incorporates a wide variety of creative practices, some of them quite different from what many would call local news. But a large amount is produced by media-trained individuals who squarely identify their output as journalism. Even those who consciously reject the term still cover many of the same topics (often in very similar ways) to local news professionals, as we will see in the next section. Large numbers also self-identify as producers of local journalism, and almost half have journalistic training or experience working in the mainstream media. What kind of news do they produce? As we observed at the outset, the term “hyperlocal” implies a narrow geographical focus, but in fact covers a wide variety of geographical areas. Only 16 per cent of our respondents aim to reach a very local audience of a neighbourhood or village. Most (almost 60 per cent) aim to reach areas the size of towns or city suburbs, which is no different from most UK weekly (and some daily) newspapers. Some community news producers speak to larger areas, with almost 20 per cent aiming to cover a whole city and a further nine per cent even further afield. This suggests that the phrase “hyperlocal news” might be better understood as referring to an emergent generation of community journalists, and perhaps their approaches to news production, rather than their geographical space. What news do they cover? The terms “community” and “hyperlocal” news are broad classifications which encompass a variety of practices and types of news content. In order to determine the nature of hyperlocal output, we asked respondents what their sites had covered in the last two years. years, what have you covered? Beyond community information, however, the vast majority of sites also produce the kinds of harder political news and information more traditionally associated with the local and regional press. Around 80 per cent of respondents say they have covered council meetings and decisions, and a similar proportion more specifically mentioned planning decisions or disputes. 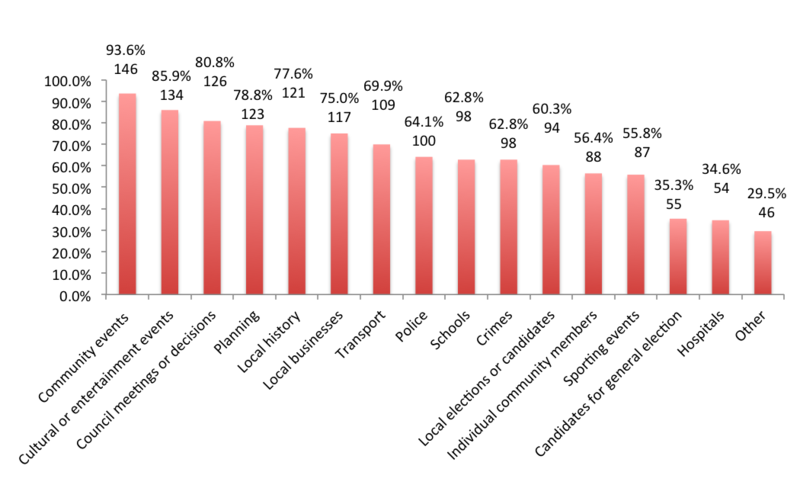 Nearly two thirds said they had covered local election or local election candidates, suggesting that hyperlocal sites could have an important role in promoting participation in local democracy. In addition, the high numbers of respondents who say they have covered local history, businesses, and institutions such as the courts, police, and schools, is testimony to the broad cross-section of community life being reported by these sites. An integral function of local news outlets has always been to provide a platform for campaigning voices on contentious local issues, a job arguably made more important when recession-induced austerity measures are impacting hard on local government budgets and therefore local services. Such campaigns have often been a feature of mainstream local news outlets, speaking up for the communities they serve and providing a forum for public debate. Does the new generation of community journalists cover these campaigns, or even instigate them? In many cases, they do. Q: What sort of campaigns have you carried out…? Almost three quarters (72 per cent) of respondents said they had joined in or supported a local campaign in the last two years (n=159). 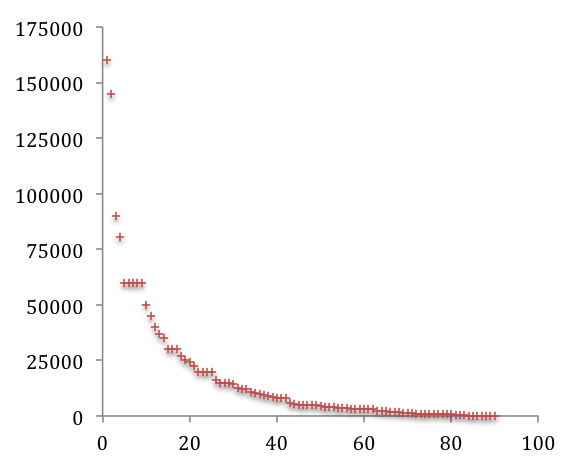 The average (mean) number of campaigns was five, and the median was three (n=93). Moreover, 42 per cent had “started a campaign which sought to change things locally” in the same period, an impressive figure given the time and effort involved in starting, building, and sustaining a new campaign. 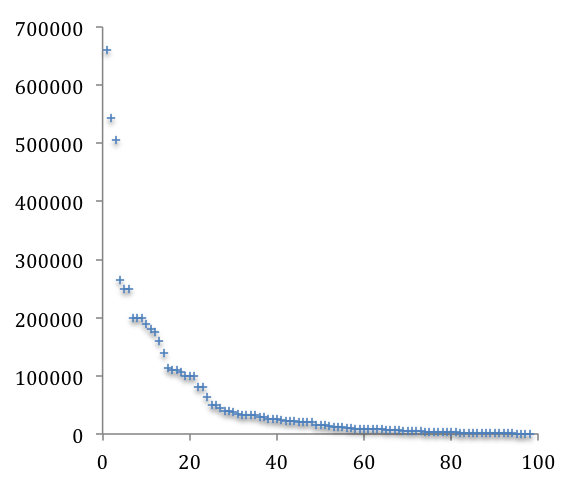 (n=159). The mean number of campaigns initiated by producers themselves was three, and the median was two. Though apparently small numbers, we should remember that campaigns are often long-running stories which are covered repeatedly over time. The raw figures only tell us part of the story. We also asked participants to give us a qualitative insight into the campaigns they have run on their community news sites by noting down examples of the most recent, and the most important campaigns they have initiated and supported. These qualitative responses were then analysed, categorised, and coded. The response rate was lower, as is common with open-ended rather than multiple choice questions. Even so, many of those answers were rich in content, yielding numerous examples, and when aggregated give us a good indication of campaigning activities. Campaigns around planning and licensing are both supported and initiated by community news producers, and mainly consisted of planning issues around contentious local developments. Many also included an environmental aspect to do with the protection of local green spaces, or were related to local businesses (e.g. local opposition to the proposed opening of chain supermarket outlets), but a few related to relatively minor local issues such as the granting of alcohol or take-away food licences. Campaigns around local public services (largely in opposition to cuts to such services) were also common in both categories. For instance, there were many campaigns against library closures, and a significant number around perceived threats to the provision of healthcare and education services. Campaigning for improvements to local infrastructure was also fairly common, either calling on authorities to make – or lobbying against – substantial changes to local roads, train lines, or provision for cyclists. Local business campaigns normally involved calls to promote local independent shops and restaurants, and included numerous “shop local” campaigns. “Community action” campaigns were either in favour of, against, or linked to the activities of local neighbourhood plans and neighbourhood forums, entities enabled under the Localism Act which are designed to enable more democratic control of planning issues. The numerous campaigns mentioned against these bodies, however, suggest concern in some communities about how democratic they actually are in practice. However, community news producers were more likely to initiate campaigns which called for improvements to local amenities such as signage, local parks, car parking, play areas, or the cleanliness of a local area (e.g. in relation to those favourite UK preoccupations: litter and dog poo). A number of campaigns dealt specifically with local council responsibilities. Several called for greater transparency and accountability from local government institutions, calling on councils to allow the filming, recording, or live coverage of meetings. It is perhaps unsurprising that these were among the most likely to be initiated by community journalists, as restrictions on reporting directly affect their abilities to cover the affairs of local political institutions. There were also a few instances of much more serious council-related malpractice such as campaigns around the misuse of public funds, or illegal payments made to local businesses. Alongside campaigns, investigative journalism is often invoked as one of the crucial functions of local news. Given that investigations can be risky and time consuming, particularly for amateurs conducting them in their spare time and without institutional support from trained colleagues or qualified legal advisors, the number of respondents doing this kind of work is impressive. Investigative journalism is almost certainly declining in the mainstream local press precisely because of its resource-intensive nature. It is as surprising as it is gratifying, then, to see that many community journalists in the UK are seeking to hold local elites to account. Almost half of respondents (44 per cent) said that they had “carried out an investigation where the site has helped to uncover controversial new information about local civic issues or events in the last two years” (n=154). The question wording was designed to convey as clearly as possibly our focus on active investigations uncovering contentious information about local municipal life. The average (mean) number of investigations declared was six, and the median was two (n=55) 5. As before, respondents were asked for brief details of their most recent, and their most important, investigations. Q: What sort of investigations have you carried out? This suggests particular focus on investigations into planning issues, as well as scrutiny of council malpractice, service cuts, infrastructure projects, and other areas of local government accountability. Conventional wisdom dictates that audiences for local community news are very small, so collecting more accurate information from site providers is important. In fact, we know from OFCOM’s rigorous audience research that this form of news is growing in popularity: 7 per cent of adults in the UK currently access these sites once a week or more, and 14 per cent at least monthly. While nowhere near the size of regional TV news audiences (accessed by 76 per cent weekly and 80 per cent monthly), these figures are not much smaller than those for local newspaper websites (13 per cent weekly and 19 per cent monthly) (Ofcom, 2012, p.104). But what do producers know about their own audiences? Over two thirds of respondents, 69 per cent, claim to know how many unique website visitors they achieve per month, and 74 per cent how many page impressions. This leaves over a quarter who do not know, who not wish to know, or don’t know how to find out, about the kind of website analytics that are necessary for generating income. Those who knew were asked to record their average monthly “uniques” and page views, yielding the following results. Those sites which are most heavily frequented are arguably starting to provide some competition for the websites of professional local newspaper publishers, especially those who have been slower to embrace online distribution. Although exact audience comparisons are notoriously difficult, and even the most successful hyperlocal sites lag behind their longer established local news rivals, one example using published figures will help to illustrate the narrowing gap. One of the most successful community news startups in the UK is Lincoln’s The Lincolnite, which aims to be a general online news service for the town and its surrounding commuter areas. It claims on its website to have 171,712 average monthly unique users. The local newspaper, which addresses an only somewhat broader regional audience, is Local World’s well established Lincolnshire Echo and its associated website. According to the Audit Bureau of Circulation (ABC) the website attracts more than double The Lincolnite’s audience with 368,905 monthly unique users. Given the relative youth of Lincoln’s hyperlocal site compared with its local newspaper rival, this provides a very good illustration of the potential for online start-ups in medium-sized towns. Visitors to hyperlocal websites only give us part of the audience picture. Further indicators of their reach come from social media networks, and our findings indicate that hyperlocal news players are active on a wide variety of social networking platforms including dedicated discussion forums, Youtube, Instagram, Flickr, Google+, Reddit, and Tumblr. Twitter and Facebook, however, are the most widely used. Large majorities of our respondents use Twitter (91 per cent) and Facebook (79 per cent). On Twitter some producers use only their own personal accounts to engage with audiences (13 per cent), but most have a dedicated Twitter account (77 per cent). Almost a quarter said they use both (23 per cent). We asked respondents to quantify the numbers of likes and followers on their dedicated Facebook pages and Twitter accounts. 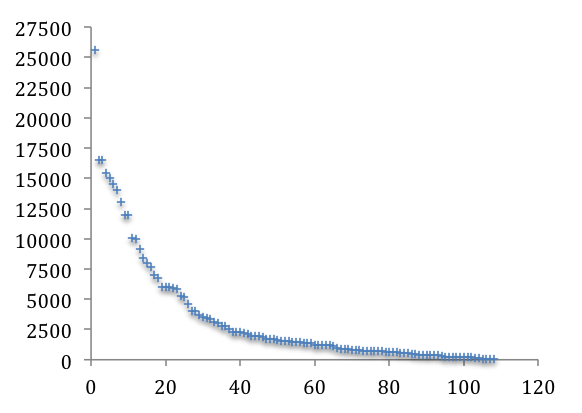 As the distribution curves above indicate, Twitter seems to be a more popular social media forum than Facebook. Nine per cent of respondents have over 10,001 Twitter followers; thirteen per cent between 5,001 and 10,000; 37 per cent between 1,001 and 5,000 followers; and the remaining 40 per cent have attracted fewer than 1,000. On Facebook six per cent of respondents have more than 10,000 likes, 32 per cent have between 1,001 and 10,000; and the majority (62 per cent) have fewer than 1,000. 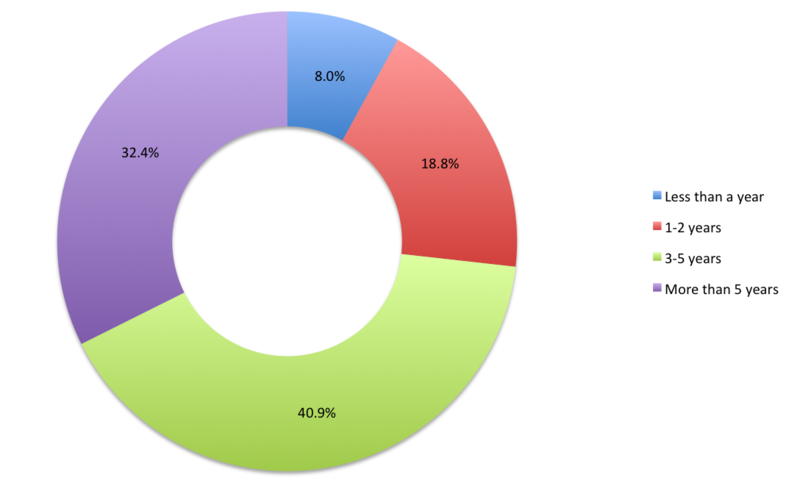 How much of their potential target audiences do UK community news sites reach? We also gathered information about target audience size, given the very varied aims, size and scope of hyperlocal sites. These figures should only be treated as indicative since they are based on participants’ recall and self-reporting. They are also based on a relatively small sub-sample since many respondents did not know the size of their target audience. Nevertheless, the paucity of audience information makes this a useful exercise. Almost 40 per cent of respondents (34) reach just ten per cent or less of their potential local audience, with a further 16 per cent (14) reaching between 11 and 20 per cent. Thirty per cent (27) claim to reach between 21 and 100 percent. However, 16 per cent (14) say they reach more than the total population of their target audience. This is most common where the target audience is quite small, where there exists a significant extra potential audience in the immediate surrounding area (e.g. as part of a commuter belt around a town), and/or where the placement of a news service attracts a large amount of “passing trade” from non locals (e.g. when a major transport hub or visitor attraction falls within your patch or shares the name with your website address). These figures suggest that UK hyperlocals’ reach on Facebook is significantly under-exploited, with the vast majority of 81 per cent (70) reaching ten per cent or less of their target audience size. 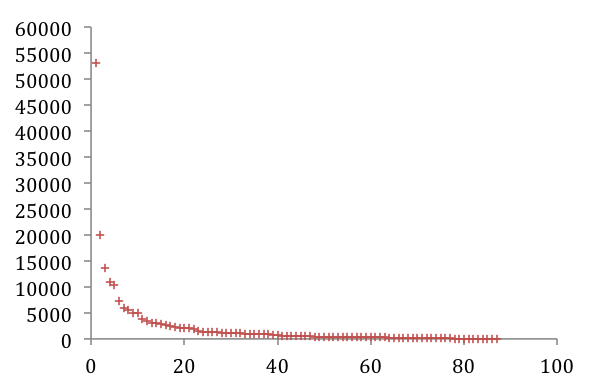 A further thirteen per cent (11) reach between 11 and 20 per cent, and very few do any better. The picture is a little more encouraging on Twitter, with larger numbers of producers managing to reach proportionally higher numbers of their target audiences. Two thirds of those who have a presence on Twitter say they reach up to ten per cent of their target population size, and more than a quarter say they reach between 11 and 50 per cent. In aggregate, our findings suggest that attaining high levels of visibility within target audiences is still a significant problem, but nevertheless most report that their audience figures are increasing. We asked participants to tell us where they had experienced growth in audience numbers in the last year. Almost nine out of ten have seen their number of Twitter followers grow, and around seven out of ten have improved their audience figures on their websites proper and on Facebook. Small minorities also mentioned growing audience numbers on dedicated discussion forums, YouTube, as well as Google+, Pinterest, and Instagram (although often from very low bases). We also asked participants to tell us on which single platform they had seen the most growth over the same period. One in three respondents saw the most audience growth on their own websites or on Twitter, with one in five reporting the most growth on Facebook. Given the declining revenues of Britain’s local press, economic sustainability will be a vital issue for new local ventures. Local news takes time, effort, and money to produce and circulate (even if, as for much hyperlocal news, these are given freely by volunteers). We therefore asked about the resources and time invested in running hyperlocal sites. Firstly, we asked respondents how much time they spend on their sites in an average week, including all aspects of editorial, management and finance. Just over a quarter (27 per cent) spend fewer than five hours on their sites in an average week, slightly more between five and ten hours (30%). Almost one in five put in between 11 and 20 hours per week, and almost one in ten between 21 and 30 hours. The great majority, then (83 per cent), can be described as part-time, with over half (57 per cent) working ten hours or fewer. Almost a fifth of respondents, however (17 per cent), say they work more than 31 hours a week, the equivalent of a normal working week. The total number of hours worked on these sites increases when work by other contributors is considered. Even so, over four sites in ten (43 per cent) involve ten hours’ work or less per week, essentially little more than hobbies. Around a third involve 21 to 50 hours per week, a more substantial undertaking. That leaves a quarter which, at more than 50 hours of work each week, can be regarded as sizeable operations which demand a significant amount of time. How much does UK community news cost? One reason for the growth in hyperlocal sites is the emergence of low cost publishing tools such as WordPress and Blogger which have substantially reduced the costs of establishing a news site and news distribution. But there are often still financial costs to be paid, which can increase with the size of the site. While the great majority of sites are indeed very low maintenance in money terms, a few demand significant cash investment. Around 8 out of 10 (78%) put the cost of running their site at less than £100 per month. At the other end of the scale, a total of 10 sites (or 6 per cent of respondents) spend over £1000 per month. In between, around 10 per cent spend between £100 and £500 and a slightly smaller proportion spend between £500 and £2000. Not surprisingly, given the low outgoings for the great majority of sites, most community news producers subsidise their activities with their own money. Some, however, do raise money from other sources. Nearly two thirds of respondents (63 per cent) said they pay all site associated costs themselves rather than trying to generate revenues from what they do to cover costs, leaving over a third who do raise money (however small the amount). For one in ten, the revenue raised does not even cover their costs, and a further one in ten raises just enough to pay their bills. Just one in six make enough to return a profit, whether that is paid to themselves or others, or reinvested in the site. Those who did generate income were asked about their sources. Given the small sub-sample involved (61), it is more accurate to express responses in terms of raw numbers than percentages. As well as using their own money (27 cases), a further 19 said they employ sponsored features, 15 secured donations (and 4 generated income from subscriptions), and 15 receive grants. Other sources of revenue cited by respondents include: advertising revenues from free printed newspapers (a low-tech option being undertaken and explored by an increasing number of hyperlocals who find the large guaranteed audience of a free print run easier to sell to local advertisers than internet advertising); selling merchandise through local businesses; selling editorial content to other news organisations; and affiliate schemes (such as commissions on restaurant bookings). On the basis that many sites will earn revenue from more than one source, we asked the same respondents about the principal funding mechanism. Advertising is by far the most popular, followed by self-funding and grants. Other responses which were specified, and which demonstrate some healthy entrepreneurial spirit, included: paid-for listings in a business directory; sponsorship of the site by a third party; and a variety of separate business endeavours which cross-subsidise the community news operation (such as editorial work for third parties in separate publications and digital marketing). How much money do community news sites generate? Those who did raise money were asked how much their sites generated in an average month. As above, the low number for whom this was a relevant question means that responses are better expressed in raw numbers. Most earn relatively small sums, with 23 making less than £100 in an average month and 15 earning between £100 and £500. A further 10 respondents generate between £501 and £1000, and 14 earn the more significant sum of over £1000 per month. Overall, then, around half the respondents to this question, representing around one sixth of all respondents, could potentially be earning upwards of £6,000 per year. Do community news producers think their sites are sustainable? Despite their lack of income from hyperlocal sites, most producers are confident they can sustain their commitment in the short term. Encouragingly, more than half (53 per cent) believe they can move beyond the current level of output and increase it, while over a third (36%) are confident they can maintain current levels. Only one in ten thought that current levels were unsustainable or that – in the case of just four respondents – the site might have to close down completely. Reasons for a predicted decline or possible closure consisted mainly of changing personal circumstances or the challenges of making enough money to remunerate themselves adequately for their time. or the site may even have to close? Personal reasons included: no longer having financial support from an employed spouse; moving out of the community; and having a new job which resulted in “less time and enthusiasm” for running a hyperlocal news site. Economic reasons included: one respondent who felt they were “spending far too much time” on their blog, and who had set themselves a deadline of three months to find paying advertisers; another who said that “we need time to create a critical mass of visitors to attract business sponsorship to sustain the project”; and one who, having successfully grown the site over three and half years, said that they now “struggle to stay on top of it” and were not optimistic about raising the requisite advertising revenue to pay for their two days a week on the site (“I’m not a sales person, and would rather be developing the site editorially”). Another, in similar circumstances, simply cited “burnout” before stating that they do not have enough time and that revenue which would buy that time was not forthcoming. While the picture is therefore generally encouraging, these last few responses were a reminder of the rather precarious nature of many community news sites. Professional and personal circumstances change, and these changes will often impact the time available for community news projects. Moreover, the time subsidies involved in producing community news for free, often by those who are unemployed or working part time, are not indefinite, and are also liable to change. Our findings are a clear reminder that the great majority of community news producers in the UK are not in it for the money and most do not even seek to generate revenues from their sites. However, the lack of financial security has implications for the medium- to long-term viability of these nascent online publications and perhaps therefore for the security, reach, and sustainability of hyperlocal news publishing as a whole. Advertising is the dominant form of income generation, but a number of other methods are employed. In order to better understand the future plans and aspirations of UK community news producers we asked a series of questions around future aims, aspirations, and challenges. How would hyperlocals like to expand editorially? Encouragingly, the great majority said they wanted to expand their sites, suggesting that there is definitely the ambition, if not always the means, to do so. Q: What kind of material would you like to add? Around 8 out of 10 said they would like to expand, divided almost equally between “a lot” and “a little”. A fifth were happy with the current size and scope of their services. Those who were interested in expansion were asked an open-ended question about the kinds of content they would like to add. We then coded and categorised their written responses. Responses varied between quite specific plans to introduce content in certain editorial areas, and more general plans to expand wider-ranging approaches to news provision. Topics that recurred quite often were listings, information to keep people informed about local events; pieces of local historical interest, or features which take a nostalgic look at communities; and further coverage of community groups, clubs, and societies (already a staple diet of much hyperlocal news). Fewer respondents cited plans to expand their coverage of local institutions (such as councils or courts), to pursue investigations, or to cover local campaigns. The most commonly cited general plan was to post more frequent material, and to produce more multimedia content (principally using video and audio); to encourage more submissions from audience members; and greater use of social media. Running a community news outlet involves more than producing and distributing local news: it can, among other things, also involve technical expertise in web design and maintenance, sales and marketing, elicitation of material from audience members or occasional contributors, and also “managing” and fostering communities on social media (and sometimes in the real world). We therefore asked a deliberately broad question of all respondents to assess their ambitions in an ideal world, unhindered by time or money constraints. As above, this was an open-ended question for which (the sometimes quite detailed) responses were subsequently coded. to your site and its operation if money and time were no object? Technical changes were by far the most popular response. Given the time-sensitive nature of news content, routine and one-off maintenance tasks are often postponed. Responses under this heading included changing blogging platforms, incorporating plugins, making blogs more mobile accessible, and improving archiving systems. Many respondents also wrote of a wish to undertake more community engagement activities, principally on social media. Many were conscious of what was seen to be an under-use of social media platforms. Some did not use them at all, and saw Facebook and Twitter as potentially useful in broadening their readership. Others were conscious of “only” currently using social media to distribute their online content, and wanted to engage more with audiences online, as well as to make better use of those platforms for news sources and research. A small minority told us of plans to introduce discussion forums for the local community on their sites. 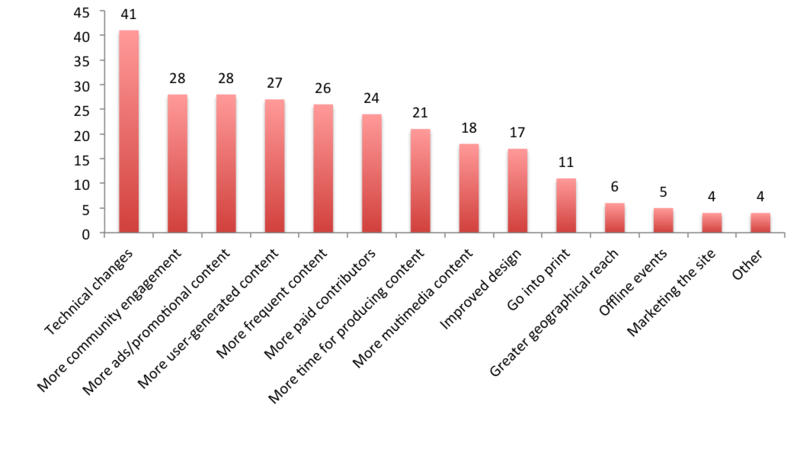 An equally high number of respondents wrote about the need to improve the promotional content, such as advertising or sponsored features, on their sites. Many talked about the need to generate revenues to pay for their own work, and some wrote of plans to hire an advertising salesperson working on commission, thus reflecting a growing interest among some hyperlocal sites in generating revenue. Given the practical difficulties encountered by those who have tried (as recounted above), for many producers this is likely to remain little more than an aspiration. Some respondents said they would like to encourage their users to submit more material to the site, something which (like technical maintenance work) can be time consuming and is not always prioritised. A similar number would like to pay their contributors. Relatively high numbers wrote about their wish to publish more news, to have more time to spend on the news content they already produce, and to make more multimedia local news. Reflecting a minor yet growing trend in community news, a significant minority said that they would ideally like to produce printed versions of their sites. What is stopping UK hyperlocals from expanding? We also wanted some insights into perceived obstacles to expansion. More than two thirds of hyperlocal producers cite lack of time as a significant constraint. This raises a fundamental economic issue. If community journalists were able to create more economic value from their sites and were compensated for their time, it would facilitate site improvements and (quite possibly) expanded news content. Nearly half cite lack of volunteers as a constraint, underlining the unpaid nature of much hyperlocal work, while four out of ten cite lack of money. Some community news operations are heavily participatory and collaborative, but setting up and maintaining a network of contributors, as well as providing any necessary guidance or training, is time-consuming and difficult. Q: What do you feel is preventing you from expanding your hyperlocal site? A third of participants (33 per cent) highlight a significant emerging problem, that while many producers have a good understanding of producing local news (only 13 per cent said they need more editorial expertise), they usually have little knowledge, experience, or enthusiasm when it comes to selling advertising. Mainstream publishers have traditionally had separate advertising sales departments employing a sales team with different skill sets, but community news producers who seek to make money increasingly need to be able to sell ads as well as tell stories. Around one in ten mention a lack of legal knowledge. One of the core components of most journalism education in the UK involves an understanding of the (often complex) law around reporting on-going court cases, defamation, privacy, and reporting of minors. Some hyperlocal news producers may be avoiding reports on some areas of local life (notably courts news) because of worries about legal issues. This lack of knowledge could also have a potentially inhibitive impact on critical investigative reporting of the kind that hold local elites to account but can be vulnerable to threats of litigation by wealthy or powerful individuals. What support do UK community news sites need? Finally, having identified the challenges, we wanted to find out what kinds of help and support hyperlocal sites would most appreciate. Not surprisingly, most of the main responses involved variations on the funding theme. Nearly two thirds (63 per cent) say they would like help to fund their own time. As with many community-based initiatives of this kind, there is a tension between the volunteer basis of much of this activity and the desire to create some economic value in order to facilitate more time. However there are numerous signs in our data that many community news journalists would like to expand, and perhaps even professionalise, their projects, but that they are hampered by lack of time to do anything other than keep their sites updated. Many seem to have a clear understanding of what is required for expansion, with well-defined plans, but most lack the time to implement their ideas. Q: What sort of support would you take advantage of if it were available? Apart from support for self-funding, half would like help with ad sales to raise revenues, and four out of ten would like help to pay contributors. In most instances contributors and collaborators are volunteers, and producers see themselves resolutely as amateurs with no wish to make money from these sites. But the fact that so many would like to start paying their volunteers is further indication of a growing desire to professionalise their operations. Beyond the funding issue, visibility within communities also looms large. Just as many producers lack expertise or experience in selling advertisements, many also find it difficult to market and promote their sites. Thus, six in ten (61 per cent) say they would take advantage of marketing support if was available. Help with technology is also a priority for four out of ten. This is understandable given that this generation of community news producers exists primarily online, and that many (nearly three quarters of our sample) have been in existence for more than three years. The pace of technological change is fast, and many lack the time required for overhauling or updating the technology which enables their sites. 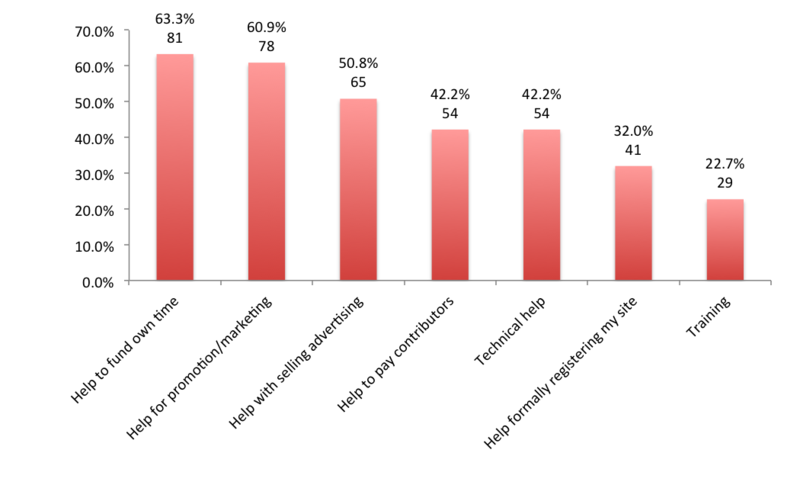 Almost a third of respondents said they would like help formally registering their sites. While most hyperlocals in the UK are not officially registered or incorporated in any way, many are, and there are numerous options open to those who wish to place their sites on a more formal basis. Hyperlocal sites have registered as limited companies, worker- or community-owned co-operatives, non-profit community interest companies, and charities. Our research suggests that more would like to do so if relevant support were available. Relative to other priorities, support in the form of training was not high on the wish list, but one in five (22 per cent) told us they would appreciate it. When these 29 respondents were asked to specify what kind of training, the most popular was technical training such as website design, advanced use of the software offered by WordPress, and coding with programming languages such as Python. Next came journalistic techniques: a number of respondents said they would like training in basic journalism practices such as interviewing and researching stories, as well as multimedia journalistic skills such as shooting and editing video and audio. Q: And finally… any other comments?